Nerd Louisville | Making Louisville, KY the most awesome city for nerds. Stay informed about what Nerd Louisville has been up to! Since our inception, we have fostered a strong and interconnected community, established an annual tabletop gaming convention (Nerdlouvia), and developed a charitable initiative (Next-gen Nerds) to support at-risk youth. Sent students in the Engineering program at Iroquois High School to a screening of Black Panther. Regularly partnered with the Louisville Free Public Library to stock their shelves with numerous game books and provide programming for public events. Facilitated a weekly Dungeons & Dragons campaign for Louisville children with autism spectrum disorders. Donated thousands of dollars in STEM materials to local schools. Worked with local businesses to arrange for old laptops to be donated and funneled into Fern Creek High School where they were refurbished by students and recirculated back into the community. Sponsored a trip for students at West End School to The National Underground Railroad Freedom Center in Cincinnati. In partnership with the City of Louisville and the Louisville Free Public Library, donated Chromebooks and wi-fi hotspots to be used for the City’s Job Seeker program. Donated books, board games, and other interactive learning aids to The DePaul School, the Boys & Girls Clubs of Kentuckiana, and Jefferson County Public Schools. Sponsored Big Brother & Big Sisters of Kentuckiana trips to The Louisville Science Center. Sent a local student who lost their home in a fire to a week-long science and Technology based summer camp. The board of directors for 2019. Our mantra is that we’re a “Do-ocracy”, where even our board is volunteering their time, effort, and earnings to make the organization the best it can be. You will find most of us involved with many of the hands-on initiatives under the umbrella of our organization. Our entire organization is volunteer run. But, we can’t do it alone. If you think you can contribute, don’t hesitate. We want you to sign up for volunteer opportunities. Helping us achieve our mission! Are you a local store, organization, or group interested in becoming official sponsors of Nerd Louisville? It’s cheap, easy, and you’ll be making a big difference in our mission. 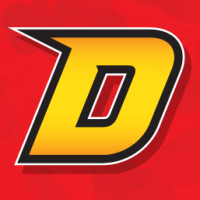 Join our online discussion community to meet other gamers, roleplayers, cosplayers, LARPers, techies, and chat about upcoming events, your favorite games, and more! Slur Your Role, GameKnights, Friday Night RPGs, and more! 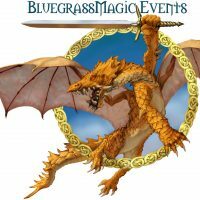 Nerd Louisville sponsors a variety of recurring game events around the city. These events are held at local establishments, like bars or game shops. These game events are also fundraising endeavors where Nerd Louisville accepts donations to fund charitable work, like Next-Gen Nerds. Slur Your Role is Nerd Louisville’s flagship RPG night! Slur Your Role provides a fun and friendly atmosphere to meet new people and play exciting tabletop games. 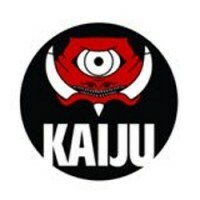 Slur Your Role occurs every other Sunday at Kaiju from 4-8 PM. Attendees at Slur Your Role are treated to a wide mix of traditional and indie role-playing games like Dungeons & Dragons, Call of Cthulhu, DREAD, Tales From the Loop, and more. Show up early or register online in advance! This event is 21+ — please drink responsibly. 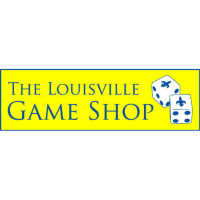 GameKnights is Nerd Louisville’s board gaming community. The GameKnight events we produce provide a fun and friendly atmosphere to meet new people, play games, and socialize with like-minded people. 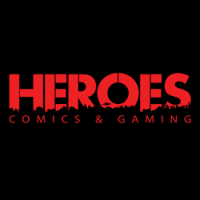 Like Slur Your Role, Friday Night RPGs at Heroes Comics and Gaming on Baxter Avenue provides a fun and friendly atmosphere to meet new people and play great games. Unlike Slur Your Row, Friday Night RPGS is an all-ages event that is perfect for the entire family. Friday Night RPGs occurs every other Friday night at Heroes from 8–12 PM and typically consists of five+ tables running popular role-playing games like Dungeons & Dragons and Call of Cthulhu. Nerdlouvia is our annual tabletop gaming convention and it acts as our biggest fundraiser of the year. Watch this space for more information about Nerdlouvia 2019! Have questions and want to get in touch with us? Have a project you would like us to consider taking on? Send us mail!